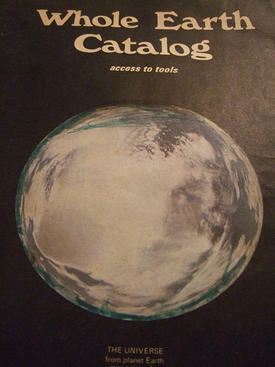 I’m excited to discover that the Whole Earth Catalog, including the CoEvolution Quarterly, is now available online. I can only hope that Mad Magazine will soon follow suit and provide me will full access to every single Alfred E. Issue. In truth, though, I would really rather have hard copy in my hands, and — in the case of Mad — a flashlight, too, so I can read it under the bedcovers after lights out. While Mad helped grow the the love of lyric poetry that Sue Ten and I still share, CoEvolution helped feed my lust for science, especially science that involves space exploration and the concept of other worlds, yet to be explored. Okay, I’ll admit that Star Trek did that, too, but CoEvolution made it seem legit. I was living in the high desert of Arizona, far from my beloved ‘Glades, when I was a truly avid reader of CoEvolution, and I often succumbed to the temptation to follow direct mail links, much as I now back link through blog posts. Of course, it was different in a small southwestern town, where the post mistress pretty much knew everything about me from reading my incoming postcards, not the mention the occasional incoming coconut. So, I’m sure she was not at all surprised when my subscription to CoEvolution let to a membership in the L-5 society, which in turn led to stranger and stranger letters of solicitation from people needing money to build their own space ships. I wonder how they made out. I would have donated more to the cause myself, but I really had enough trouble at the post office already. I did just now do a quick search through the Whole Earth website index, and was disappointed not to find more positive reference to golf, or pie. I was sure they would at least mention the zen value of The Inner Game of Golf, and I was absolutely stunned not to find some whole-grain inedible pie recipes. Still, it was fun to revisit the space colony pages and imagine a future where we can all be together in a world of our own, where our priorities center around golf, pie, science, and poetry. Oh, wait. We already have that, right here at the Slice of Heaven 24-Hour Pie Shop and Driving Range. All we need now is you.